This Unesco heritage collection of museums on the River Spree spans 2,000 years of art and includes the mighty Pergamon Museum and the restored Neues Museum. If it’s sunny, picnic on the Lustgarten and visit the cathedral (Berliner Dom). The seat of the German parliament is capped with a large glass dome, built by Lord Foster, with great views. Tours (by reservation) are available when the Bundestag is not sitting. Daniel Libeskind’s celebrated structure is worth a visit for its architecture as much as its content. Designed to disorient visitors, the main exhibit portrays Judaism and the Jews throughout German history. The 3,000 stelae (concrete slabs) vary in height and the ground undulates to unsettling effect. The heartbreaking visitor centre underneath personalises the Holocaust with photographs and testimonials. Best known to modern minds as the hotel where Michael Jackson once dangled his baby from a balcony, the Adlon was the celeb spot of the ’20s, when regular guests included Dietrich and Chaplin. Destroyed in World War II, it has been faithfully recreated on its original site near the Brandenburg Gate. Rezidor currently have one hotel in Berlin - that features the worlds largest cylindrical aquarium and has an excellent location in Berlin-Mitte. Just a stroll away are restaurants, bars, boutiques, galleries and famous city centre sights. The Radisson Blu Berlin hotel is located directly on the bank of the river Spree, opposite to the Berlin Cathedral and Museum Island. Public transport and Berlin airports are within easy reach. 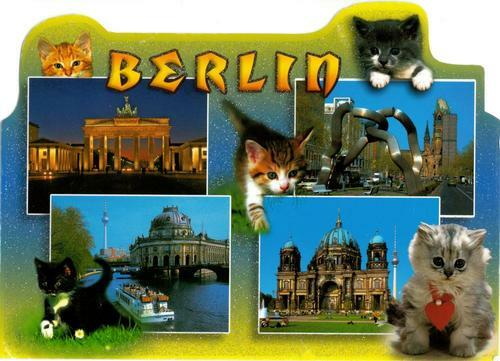 For official tourism information, try www.germany-tourism.co.uk and www.visitberlin.de. Find more city tips from in-the-know residents at the ‘Berlin’ section of www.spottedbylocals.com; or visit www.slowtravelberlin.com.